Do you long for an era where The Cure is still culturally relevant? Where black lipstick never goes out of style, mascara is worn religiously, and opaque finger nail polish is posh again? In a land where electro-pop falls in love with 80s darkwave, the distorted electronica created by the Aussie duo known as Wazu reigns as goth king and queen. 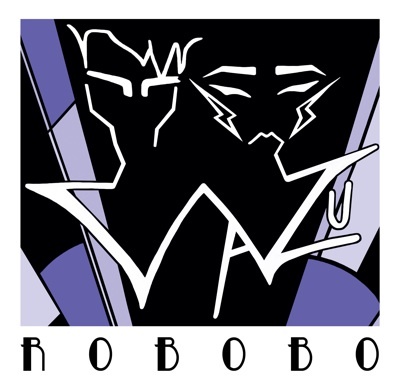 Their debut full-length, Robobo, was released on October 31st, 2012, and follows their self-titled EP. What better day to drop a spooky, synthy, and sorrowful collection of 11 original songs? The song “Councillor” opens Robobo with fruitful promises of an industrial-darkwave hybrid, deft baroque synth play, and contrasting vocals. The album soon backtracks on “It’s a Trick” and “Show Your Skin”, ditching the prominent heavy synth distortion for a lighter, pop driven sound while retaining its baroque motif. “Bugsatio” is an exemplar track to showcase the archetypal Wazu style, combining eerie synths, twangy guitar riffs, and whimsical male and female lyrics which set the scene for a cheesy Halloween film. The music on Robobo is extremely simple, dry, and follows a traditional Cure algorithm for post-punk influenced goth-electro-wave. The songs are lyric centric and brimming with both wit and that gothic angst charm. At some dark, twisted carnival where all of the games are rigged and the sideshows are nothing more than mundane, taxidermied pets, Robobo is being played on repeat as menacing clowns terrorize patrons through an endless funhouse full of misshaped mirrors. Beyond that, those enticed by these electro Cure-a-likes are welcome to lend Robobo their ears before moving on to another similar sounding band in a genre which has grown far too small in present days. Buy the digital or physical album here.